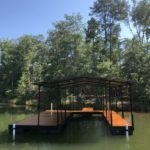 Crafting a better lake life. At Master Docks, we provide superior custom build docks, boat lift installations, dock & lift repairs, Lake Hartwell Dock Monitoring, and more. 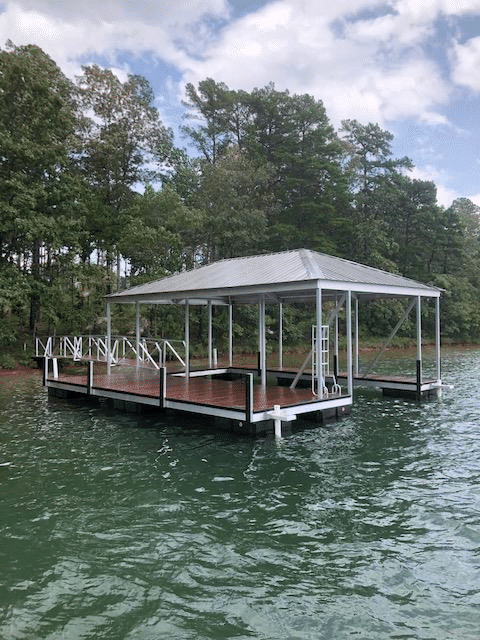 We offer our services throughout North Carolina, South Carolina, & North Georgia, including, but not limited to: Lake Keowee, Lake Hartwell, Lake Murray, Lake Bowen, Lake Adger, Lake Lanier, Lake Blalock, Lake Greenwood, and Lake Jocassee. 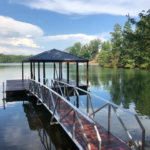 We build single and double slip docks, as well as platform, swim, and pond docks out of high quality aluminum or steel. 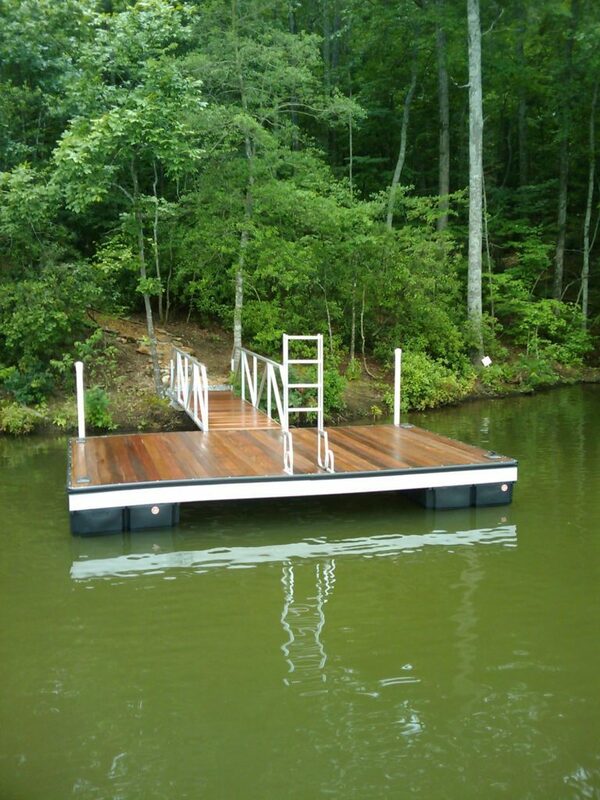 Our floating docks are produced inside steel jigs to eliminate errors and variations. All of our dock frames are all welded together, not bolted, to eliminate pull through, broken bolts or other failures. We guarantee your dock will be built to last. 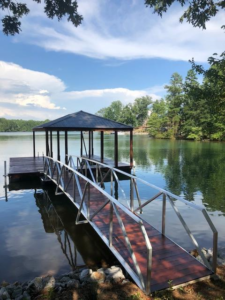 We work closely with the Lake Wardens, the U.S. Army Corps of Engineers , and a large network of aquatic engineers and shoreline services to create a streamlined & painless build, helping you make your custom dock dreams come true. 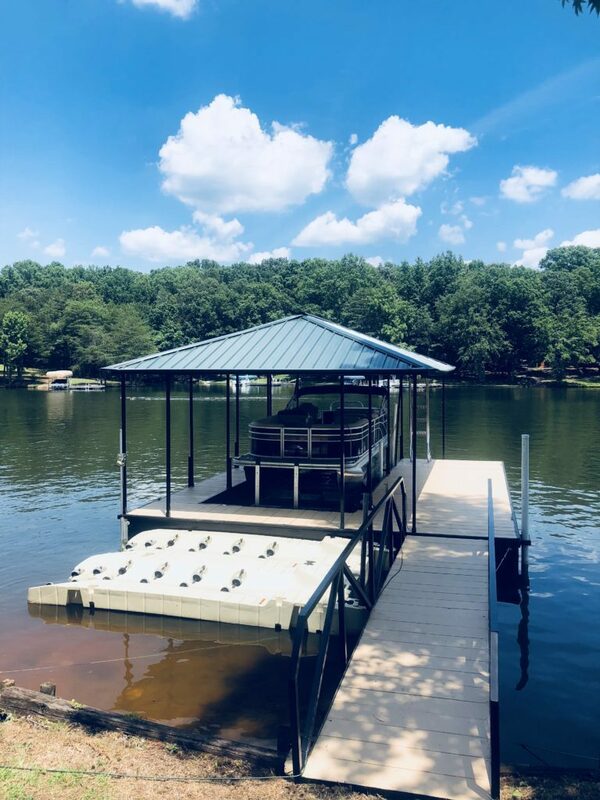 We are a proud dealer of FloatAir front mount boatlifts, Hewitt Standalone lifts, Wave Armor PWC drive on ports , PermaFloat floats, Dock accessories, Walkways, and more! 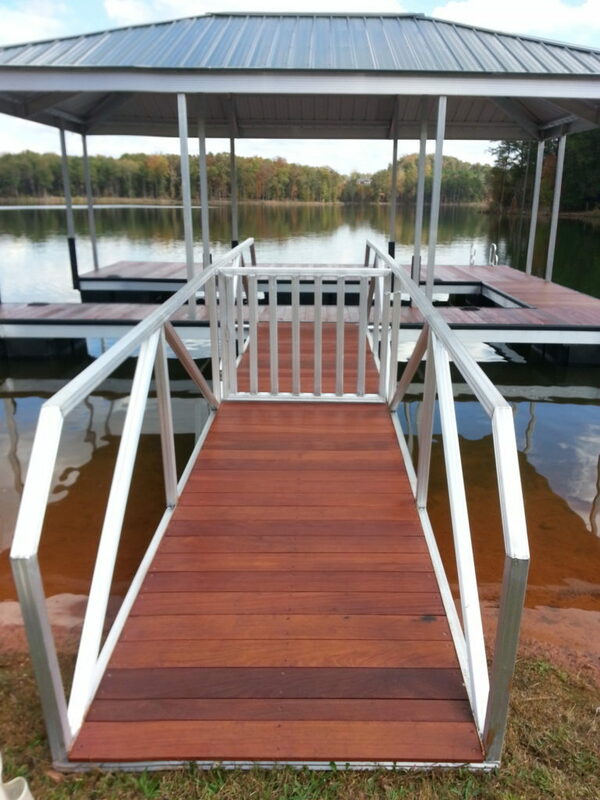 All of our docks are custom built to order, with many potential design variations possible. 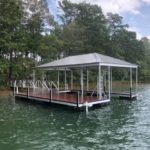 To discuss dock builds or any other services, contact us today! 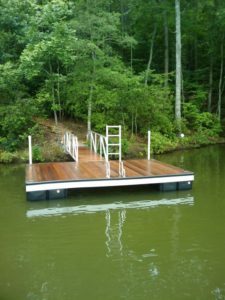 Master Docks offers financing up to $55,000 for our docks through our lending partner Greensky. To learn more, visit our Financing page or Greensky.com. 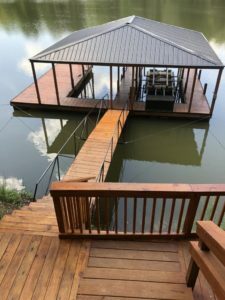 Master Docks did a great job on our dock. Dock was on time, and as promised. 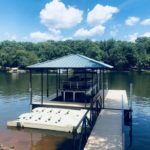 I was even able to change roof design mid-project, no problem. 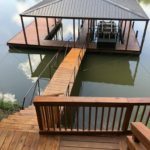 Worked with me to temporarily install dock while I replaced my landing, then came back for permanent installation. I don’t like surprises when I make a deal, and there were none! Thanks for a job well done! Awesome customer service. 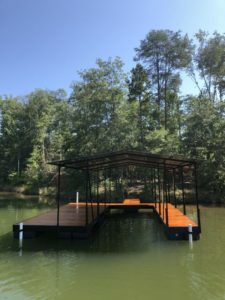 Master Docks built us a dock and exceeded our expectations in the quaility of workmanship and customer service. 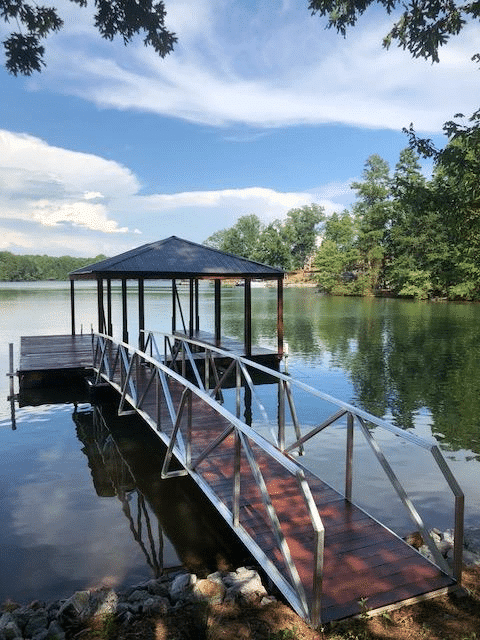 They went above and beyond to assure we were pleased with their service and completed and installed the dock sooner than we anticipated. 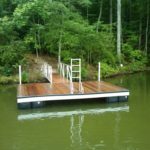 Our experience with Master Docks was extremely positive with their superior customer service and quality workmanship at a reasonable price. Our winch on our lift recently went out and they came out the next day to replace it. When we noticed a slight issue with the way it was operating, they came back out to get the issue resolved. 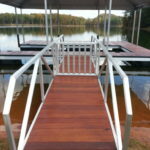 We will continue using Master Docks because of the expert customer service we get!